Smooth ceiling, with pendant, mains powered smoke alarm, fuse board, SINGLE RADIATOR, fitted deep piled carpet. Solid timber doors finished with chrome handles open to all rooms, stair case rising to the first floor. The white suite comprises dual flush close-coupled WC and pedestal wash hand basin with chrome monobloc tap, tile splash back. Smooth ceiling with room sealed light fitting, extractor fan, space and plumbing for washing machine. Opening to a useful under stair storage area and vinyl flooring. Smooth ceiling with pendant, triple glazed window to the front elevation with sliding double glazed patio doors to the rear elevation, DOUBLE RADIATOR, four double power points, and fitted deep piled carpet. Smooth ceiling with two pendants, wide three section double glazed sliding patio door to the side elevation opening onto the paved terrace, DOUBLE RADIATOR, four double power points, and fitted deep piled carpet. Smooth ceiling with pendant, mains powered smoke alarm, double power point, and fitted deep piled carpet. Solid timber doors finished with chrome handles open to all rooms. The white suite comprises dual flush close-coupled WC, corner hand basin with white fronted storage cabinet beneath, tiled splash back, and shower cubicle with fixed glass panel and sliding glass door, tiled surround with chrome thermostatic shower valve. Smooth ceiling with room sealed light fitting, extractor fan, chrome towel rail RADIATOR, and vinyl flooring. Smooth ceiling with pendant, triple glazed window to the front elevation with DOUBLE RADIATOR beneath, four double power points and fitted deep piled carpet. Smooth ceiling with pendant, triple glazed window to the front elevation with wide double glazed window to the rear elevation having views across farmland. DOUBLE RADIATOR, four double power points and fitted deep piled carpet. The white suite comprises paneled bath with separate chrome lever taps, tiled surround with chrome thermostatic shower valve over the bath, glass screen, pedestal wash hand basin with chrome monobloc tap and tiled splash back, and a dual flush close-coupled WC. Smooth ceiling with room sealed light fitting, frosted triple glazed window to the front elevation, chrome towel rail RADIATOR, and vinyl flooring. The front of the property is defined by wooden fencing with driveway entrance to one side providing off street parking for three vehicles. A pathway leads to the front door with storm porch above. Access is provided from the front garden to the rear garden along the driveway through a wooden gate. The long rear garden tapers at the far end just beyond the oak tree, the boundary bordering the farmland is defined by low wooden fencing to take advantage of the view. A paved terrace to the immediate rear can be accessed from both the snug and living room patio doors and provides a superb al fresco entertaining space. Nestled on the fringe of the woodland section of the garden is a timber pergola with block paved floor and brick chimney with open fire ideal for a late evening soiree. An external oil fired combination boiler is situated to the immediate rear of the property. The private septic tank is situated towards the end of the garden. Applicants are asked to proceed from MARQUIS ESTATES up Head Street out of Halstead Town in the direction of Sudbury (A131). Applicants are asked to follow the road, passing Catley Cross and into Long Gardens. 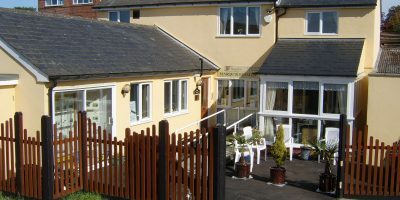 The property is situated on the left hand side. The Vendor has agreed that these particulars are a correct and accurate description of the property. Any contents, fixtures and fittings shown in the photographs are not included unless otherwise specified. Measurements are taken manually and whilst we endeavour to take every care with their accuracy, they must be considered approximate. You must verify the dimensions carefully before ordering carpets or built-in furniture. Please note we have not tested the services, equipment or appliances and we take no responsibility for any errors, omissions or misunderstanding. Please note, photographs are for guidance purposes only. These particulars are issued in good faith, but do not constitute representations of fact or form part of any offer or contract. Prospective buyers should independently verify the matters referred to in these particulars, no one in our employ has any authority whatsoever to make any representation, claim or warranty in relation to this property.